April Acquavella proved that it’s never too late to change careers. After almost 20 years of working in the corporate world of marketing, Acquavella decided it was time for something new. It wasn’t that her career was unfulfilling or unstable; she worked in graphic design and had the opportunity to regularly express her creativity. 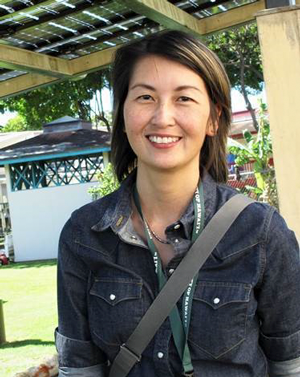 That choice led her to Honolulu Community College. Right out of high school, Acquavella attended the University of Hawai‘i at Mānoa, where she earned a bachelor’s degree in marketing. 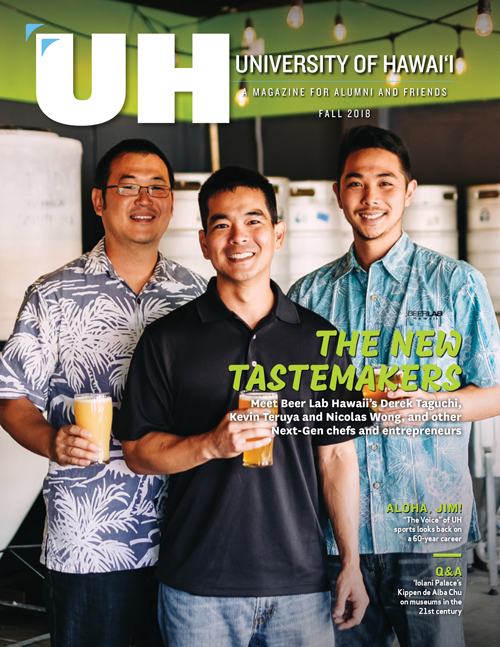 When she decided to make a career change at the age of 40, rather than going back to Mānoa, she chose to attend a trade school since she had already experienced the traditional academic route. “Trade and vocational schools have a prepared curriculum focus that’s geared to make you job ready. What you learn is applicable to what you’d be doing outside school,” she said. Acquavella completed the Carpentry Technology Program at Honolulu Community College, and was the student speaker at the spring commencement ceremonies in 2016. After commencement, she started looking for a company she wanted to work for and found Bello’s Millwork in Wahiawa. She cold called the owners and expressed her desire to work there and they eventually called her back. Though she had to start at the bottom, she made her way up to become a CNC operator. A CNC machine, which stands for Computer Numerical Control, is a machine that cuts automatically off of computer designs. Acquavella enjoyed her two years at the Carpentry Technology Program. She considered her classmates her cohorts and even ‘ohana, the Hawaiian word for family. She was highly involved in her studies and even started a Carpentry Club for students and alumni. There are only two teachers for the program but her favorite was George Boeman. “George is a lifetime framing carpenter for the union. He taught us in a theoretical sense and went through higher level skills and math – things one would need further down in their career,” she said. Acquavella attributes her current success to her background and the experience she acquired prior to going to Honolulu Community College. Regardless of the field, people must network and get to know people, she said. Acquavella kept an open mind and felt that there shouldn’t be an educational hierarchy and that one career isn’t better than another. “Traditional academics aren’t better than vocational academics. Working for a trade isn’t for everyone either. As long as you’re contributing to society – that’s what matters,” she said.